Japanese auto giant Honda announced in a press release on 5 March – the first day of this year’s Geneva Motor Show – that it has set the goal of adopting electric power trains for all of its four-wheeled vehicles sold in the European market by 2025. This means that by that time, Honda will be offering only electric and hybrid models in the European market. The company had already stated in 2017 that it intends to have electric vehicles account for two-thirds of its total car sales by 2025. The latest announcement indicates that the company has taken another concrete step toward this goal and set an accelerated schedule for electrifying its offerings. On the opening day of the Geneva Motor Show, Honda also for the first time introduced to the public its production battery electric vehicle for the European market. This rear-drive electric compact, called Honda e Prototype, is designed for commuting in urban areas and will be available in several EU countries as early as this summer. In addition to having a driving range of 200km, the Honda e Prototype features a fast-charging systems that fills 80% of the battery in 30 minutes. Honda has been struggling in Europe for some time, and the company announced on 19 February that its production plant in the UK will cease operation by 2021. Takahiro Hachigo, CEO of Honda, stated that the closure has to do with the company’s plan to accelerate the process of switching to the electric powertrain technology and not with Brexit in the strictest sense. The UK plant also happens to be Honda’s only production line Europe, so it appears that the company for now has decided to withdraw its four-wheeled vehicle manufacturing operation from the region. A report by Nikkei Asian Review on the plant closure states that Honda’s European sales in 2018 totaled just 140,000 units, or about 3% of its global sales in the same year. On a side note, Volkswagen has also significantly stepped up its efforts to make the transition to the electric powertrain technology. In an interview with Nikkei and other media outlets on 5 March, Volkswagen CEO Herbert Diess said that his company now aims to have 40% of its global sales electrified by 2030. The shares of electric models in Volkswagen’s sales in China and Europe, respectively, will be raised to 45% by the same target year. Earlier, Volkswagen had already pledged to have electric models contribute 25% of its global sales by 2025. 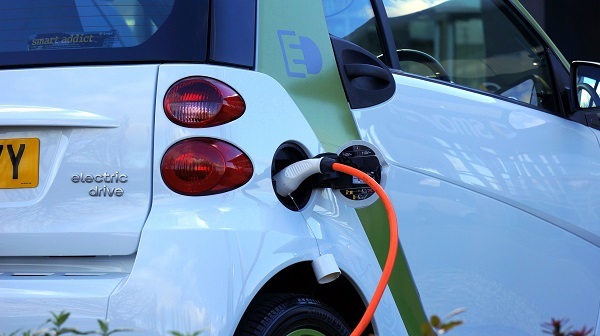 Diess also told the media that maintenance cost of electric vehicles will be lower than that of traditional fuel vehicles by 2020, and the the profitability of manufacturing cars that run on batteries will be relatively on par with those that run on internal combustion engines by 2025.